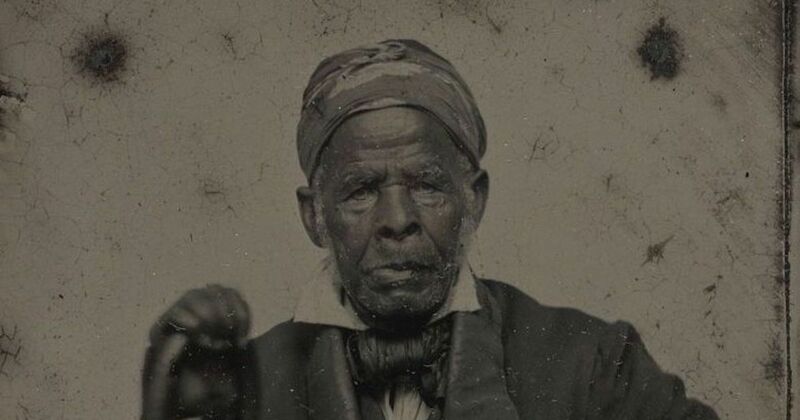 Omar Ibn Said was leading a prosperous life in West Africa at the turn of the 19th century, devoting himself to scholarly pursuits and the study of Islam, when he was captured, carted across the globe, and sold as a slave in Charleston, South Carolina. An autobiography that Said penned during his time in America is the only Arabic slave narrative written in the United States known to exist today. And this precious manuscript was recently acquired and digitized by the Library of Congress. The Life of Omar Ibn Said, as the manuscript is titled, is the centerpiece of a collection that includes 42 original documents in both Arabic and English. Some, according to the LOC, were written in Arabic by a West African slave in Panama, and others were authored by individuals in West Africa. The collection was assembled in the 1860s by Theodore Dwight, an abolitionist and one of the founders of the American Ethnological Society. It was passed from owner to owner over the centuries, at one point disappearing for nearly 50 years, before The Life of Omar Ibn Said reached the Library of Congress. By then, it was in a fragile state, and conservationists quickly got to work preserving it. In March 2012, Heather McMillan Nakai. LAS CRUCES, N.M. — Before the. On March 10, Betty Wright —. As usual, Jordan Peele knows exactly. On the 150th anniversary of “Juneteenth”. Ethiopia embarked upon a set of. This article was written by Aries. Ayana Byrd, ColorlinesEthnic politics is not. Protests erupted for the fourth straight. A Senegalese film is one of.